Our team of seasoned attorneys is dedicated to achieving our clients’ objectives in the most cost-effective and practical way possible. Morrow Otis has successfully represented major construction firms, financial institutions, real estate owners and developers, apparel manufacturers, and numerous other companies and individuals in complex commercial and business litigation cases. He is a member of the Invited Attorneys Conference of construction defense lawyers, the American Bar Association and the Bar Association of San Francisco (Recipient, Award of Merit; Chairman, Committee on the Judiciary, Member, Board of Directors, 1979-1980; Barristers Club of San Francisco; Member, Conference of Delegates). He is a member of the U.S. Court of Federal Claims. Construction Law. Morrow has successfully resolved a variety of issues for clients including construction claims involving defect claims, direct cost and delay claims, bid protests, change orders, mechanics liens, stop notices, Miller Act claims, payment bonds and other construction issues. 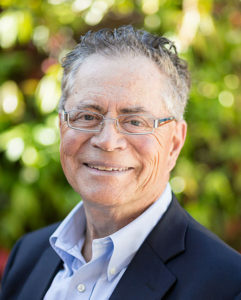 He has litigated delay damage claims involving hydroelectric dams (Perini-Yuba Dam, Wolfsen Hydroelectric Dam, Mendota Canal Dam, and Black Butte Dam), the electronic security system failure at the Oakland Airport, remediation through dredging of DDT-contaminated soils from the United Heckathorn Superfund site at the Port of Richmond, and many other projects. Business Litigation. Morrow has represented national and global companies, banking institutions, partnerships and individuals in complex business and commercial disputes, including contractual obligations, partnership dissolution, breach of copyright action, landlord tenant issues, and the enforcement of business-to-business software license. Design Professional Practice. Morrow has represented a wide array of construction professionals, and has extensive experience in large-scale design projects. St. John’s College (Annapolis, MD), B.A.